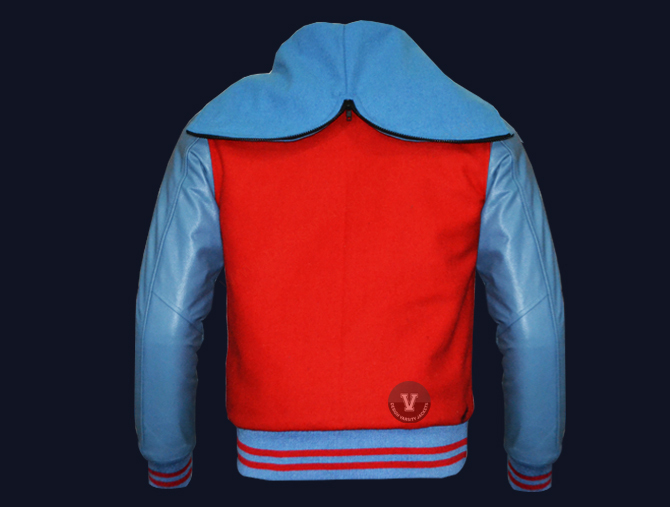 Design Online Varsity Jackets made of Top Quality Wool Red and Genuine Leather Sleeves in top grain Columbia Blue. We made it high quality acrylic ribbing bottom, collar, cuff, high quality varsity snaps and inside quilted diamond laser lining for this Letterman Jackets with Zipper Hood. 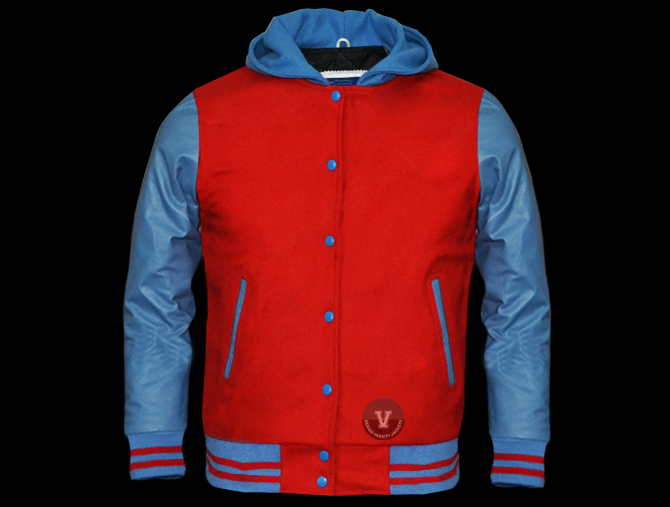 Design Online Varsity Jacket made of Top Quality Wool Red and Genuine Leather Sleeves in top grain Columbia. We made it high quality acrylic ribbing bottom, collar, cuff, high quality varsity snaps and inside quilted diamond laser lining for this Letterman Jackets with Zipper Hood. 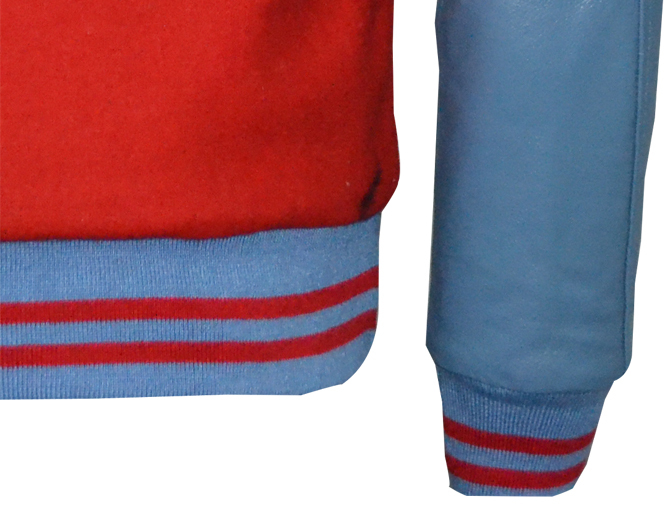 We used genuine leather for pockets trims and inside pocket for this Design Online Varsity Jackets. We have lot of promotions whole the years as per different occasions and events like Christmas and New Year or some are special event. We offer special discount on these events and sometime free shipping offer. please see our notification bar on top of home page. 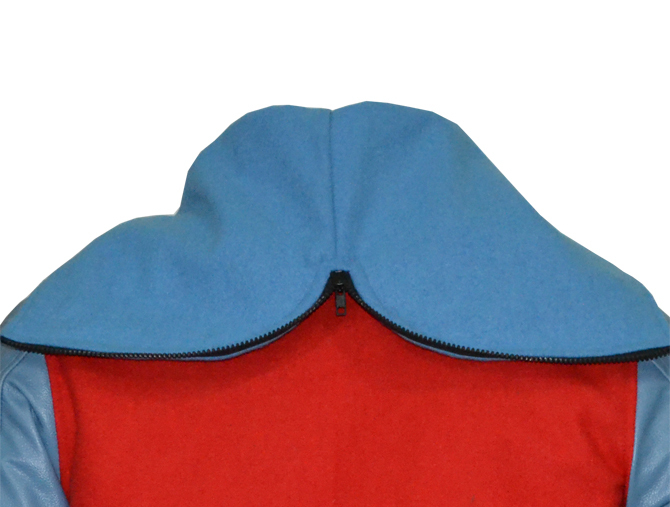 You can get our discount offers on Letterman Jackets with Hood for women and Letterman Jackets with Hood for men. below. Note: Please allow a human error margin up to 1 inch=2.54 cm - Please refer to our Return Policy prior to placing your order. Strictly Recommended: Dry Clean only for long life of Varsity Jackets. Also mentioned the instructions on our inside brand woven label. DHL Express Courier Service: 6 to 7 days production time and 3 to 4 Days Delivery time all over the world.